Laughing, having fun and winning prizes!!! The I.S.T warmly invites you to the “Icebreaker Games” on the welcoming day. Friends are very important when you’re abroad, so come numerous and connect with new people (Internationals & German). Play in groups against each other and gain sensational experiences. 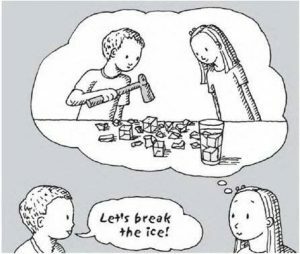 We make sure to break the ice!! !